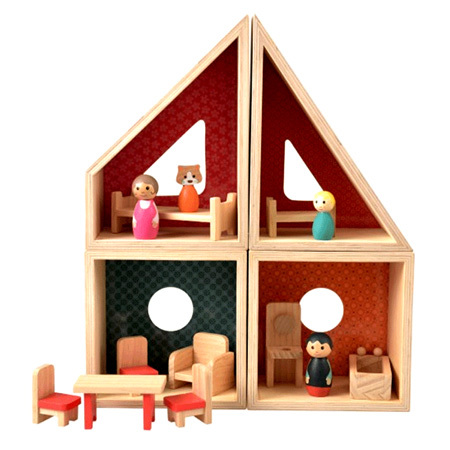 Modular Wooden Doll House is a beautifully simple natural wood toy from Egmont Toys. This Doll House has four separate free standing rooms which can can be stacked together in different ways. A wonderful toy which includes all the fun of a doll house whilst also being a construction and design toy. This toy is ideal for boys and girls and comes from the manufacturer Egmont Toys are a Belgian brand. The development and design is done in Belgium, mostly by their in-house designer Gaëtane Lannoy. We like this because: "A lovely variation on traditional Doll Houses and great for boys or girls. "